Food Mini Chopper Just $8.61! Down From $24! You are here: Home / Great Deals / Amazon Deals / Food Mini Chopper Just $8.61! Down From $24! 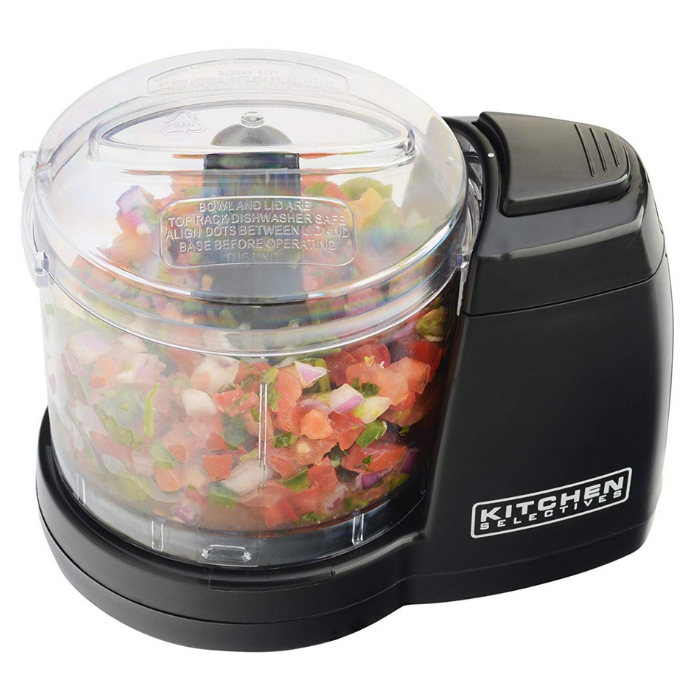 Head over to Amazon to score this Kitchen Selectives Mini Chopper for just $8.61 down from $23.64! Please note that this is an add-on item and will ship with a qualifying order of $25. Simple and convenient one-touch operation. The detachable bowl holds two cups while stainless steel blades easily chop fruits and vegetables. Safety features include a safe-locking lid and non-skid rubber feet.